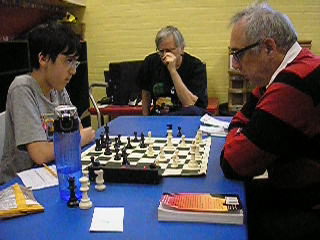 LM Todd Lunna won the 2013 Westfield Chess Club Championship, which was held October 20th and 27th. Jonathan Cohen, Aaron Jacobson, Michael Yen, Sam Chatsky (all = 2nd), Brandon Ng (U1650) and Darshan Patel (U1400) also won prizes. Mazzillo received a 1 point bye.